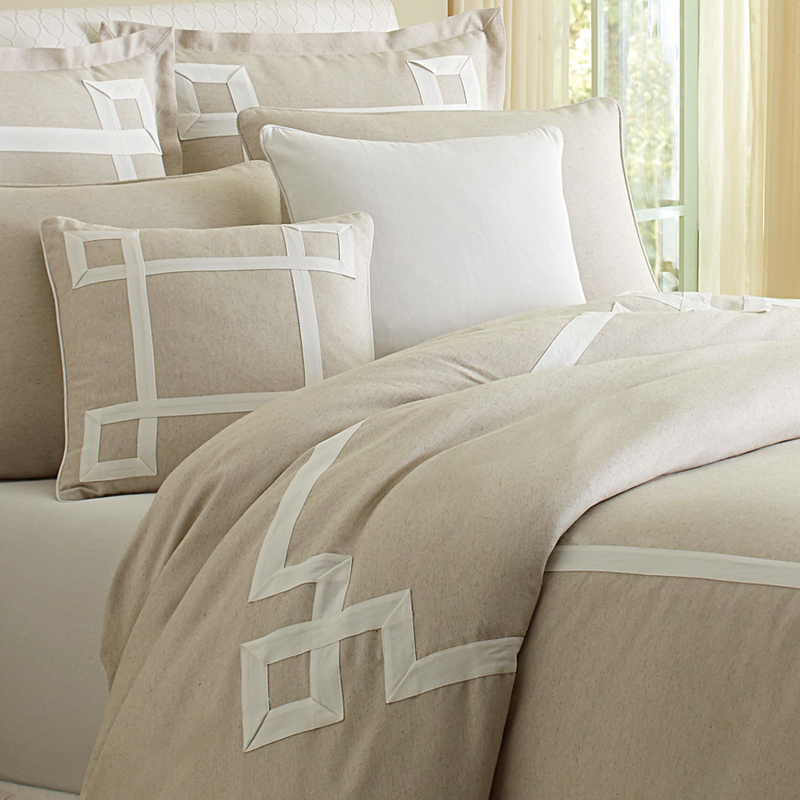 A classic Linen duvet set which features an off white cotton applique in a greek key pattern on the duvet and coordinating pillow shams. 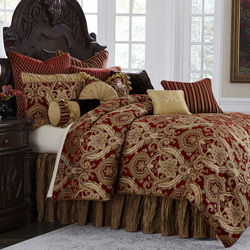 This elegant set also features two 19 inch accent pillows. 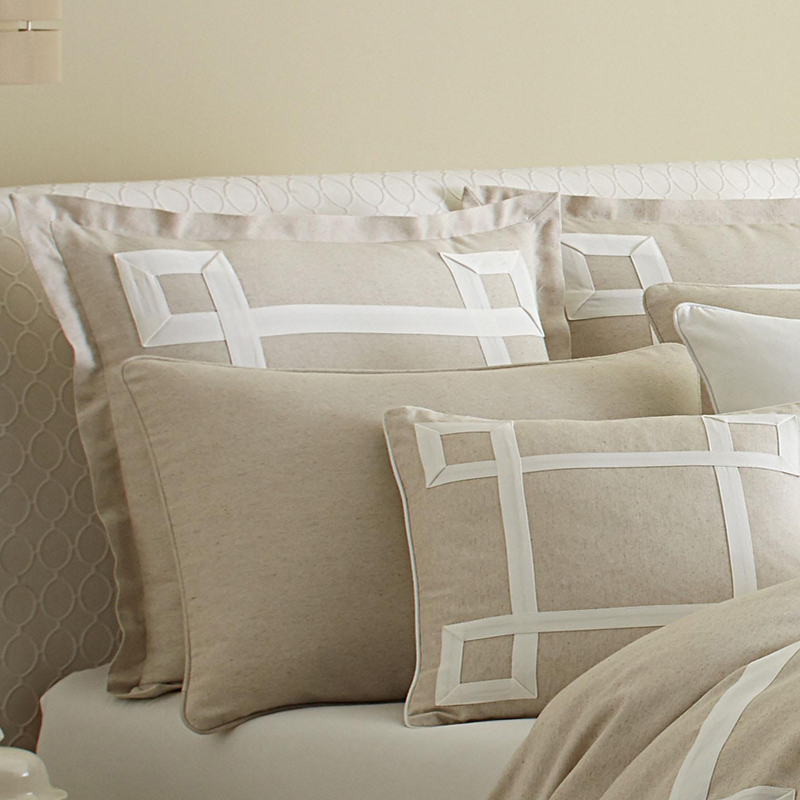 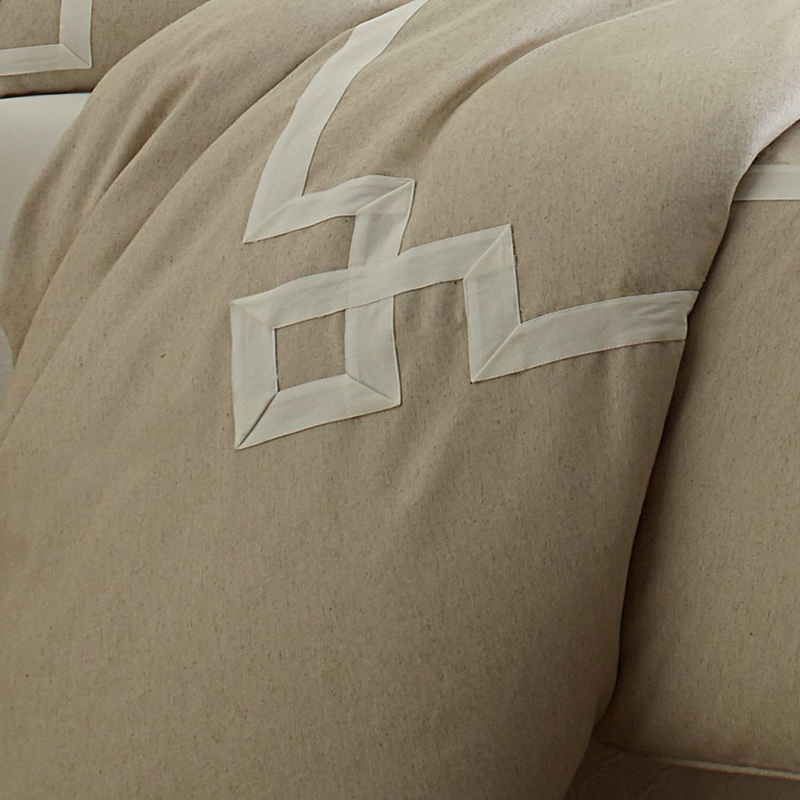 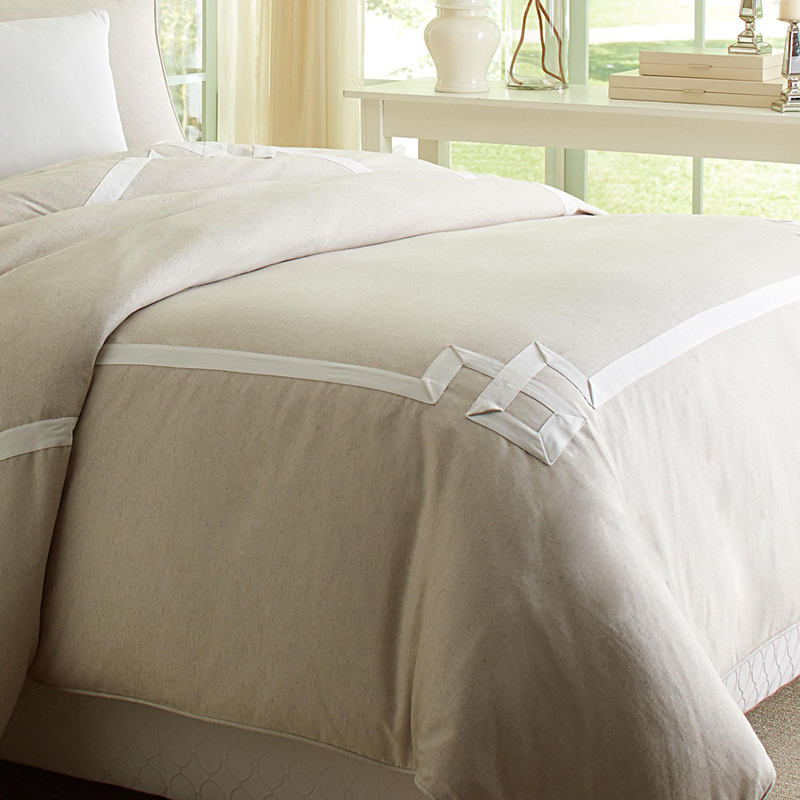 The crisp details and clean, neutral fabrics will bring sophisticated simplicity to your master bedroom. 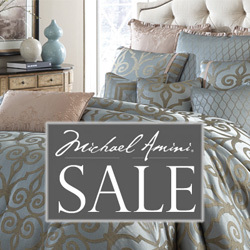 • The Michael Amini Ashworth is considered a special order item.